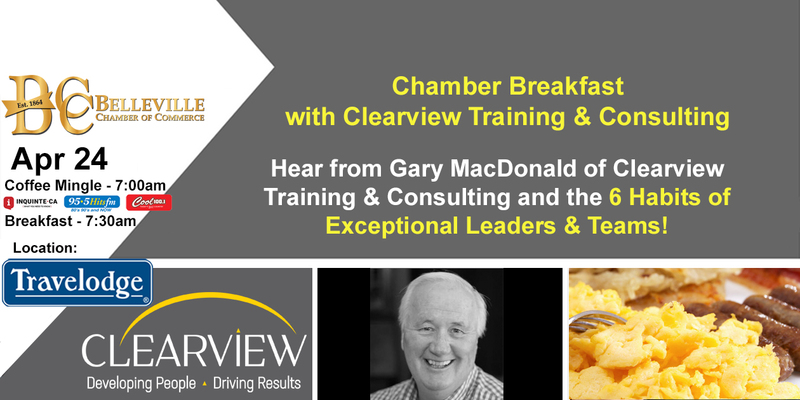 Join us as we welcome Gary MacDonald the Founder & CEO of Clearview Training & Consulting Inc. in Stirling. Gary will be presenting and discussing the "6 Habits of Exceptional Leaders & Teams!" Learn to decrease stress for you and your employees, decrease turnover, increase staff engagement and increase effectiveness and profits.